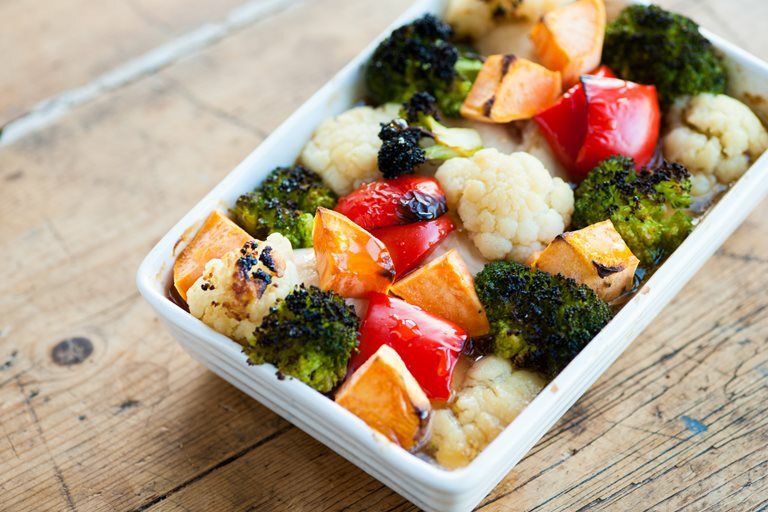 Andy Waters' simple chicken and vegetable bake recipe makes a perfect half term dinner. The mix of vegetables, sweet maple syrup and tender chicken breasts will go down a treat with the little ones. Poaching chicken is a lot healthier than frying, which makes this recipe even more child-friendly.